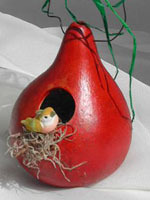 This very attractive painted birdhouse gourd is named "Purple Feather". 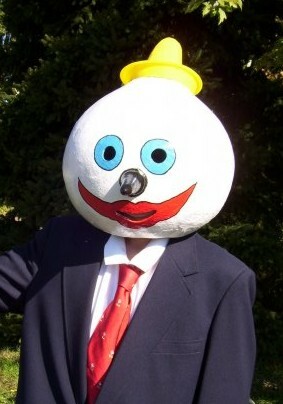 This cute, decorated gourd in the image of a trademark "Jack In The Box" advertising character was submitted by Debbie Hauser. I call this the "Golden Birdhouse"
Lil Boesewetter brought me an example of a purse she had created from a canteen gourd. 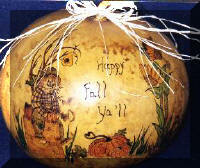 To see more of Lil's decorated Gourds click here. 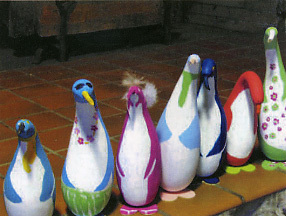 What a cute touch with the small bird in the doorway! 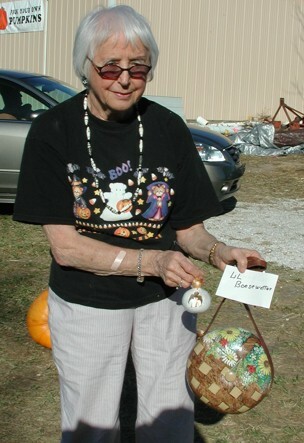 Click here for to see the gourds decorated by Robyn Tinkerbell. 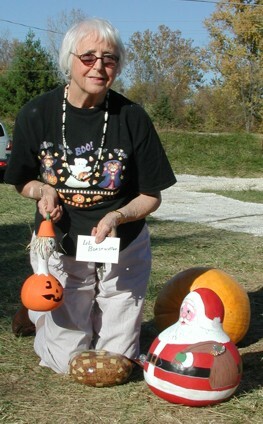 From Connie Worrell of the American Gourd Society Magazine. 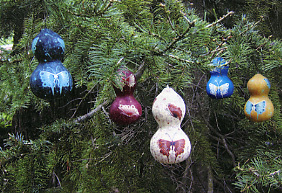 These Christmas tree ornaments were made by Douglas A. Miller. Lil Boesewetter brought me a Santa Claus she had created from an African Kettle Gourd. 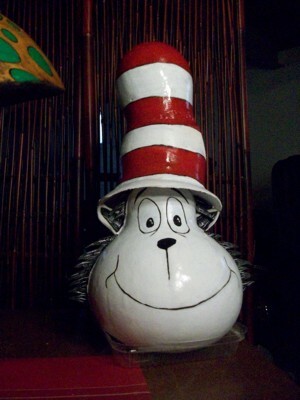 you can paint pumpkin faces on gourds too ! 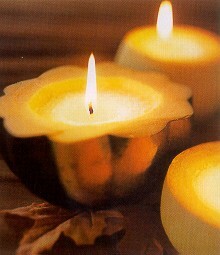 This is called a "snowman gourd"
You can make a striking Glowing Gourd Centerpiece for your table. Click here for directions.